Genesis Pro Roofing-Southern California Premier Roofer – Quality roofing with a triple guarantee promise. To learn more about any of these areas of specialties, click on the link above, or call us during office hours, Monday through Friday from 9 to 5. Thank you for choosing Genesis Pro Roofing. We are eager to serve you! We are a company built to provide top quality workmanship, paralleled with integrity in every bid and contract. 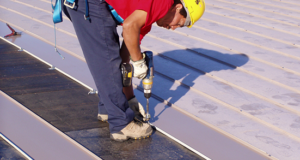 Along with our commitment to providing top quality customer service, you will find that your experience with Genesis Pro Roofing will be smooth and seamless. With over 25 years of roofing and customer service experience, we are confident that you will find us to be more than just a typical roofing company, but a reliable source in providing security for your investment. At Genesis Pro Roofing, we are committed to excellence and giving you the best, from the beginning of your project till the end. We look forward to serving you. To learn more, call us during office hours at (909)217-7373 or email us at sales@genesisproroofing.com. We’re very pleased with our new roof and would definitely recommend Genesis Pro Roofing to anyone we know. They were professional, fast and delivered on their promises. Thanks! I contracted these guys to repair my metal roof on a large building. They were fast and did fantastic work. I have absolutely no complaints. I think they did great! I was most satisfied with the people at Genesis Pro Roofing. They were wonderful. Commercial properties need immediate response for unexpected issues that may arise. We are quick to arrive with help, fully insured, and offer both short and long term warranties. Our goal is to give peace of mind. There is no roof that we cannot do. New roofs or repairs. Call our friendly staff today for a free quote. We understand that will all the roofing options available, it may be challenging to choose the best choice for your home. At Genesis Pro Roofing, we provide a thorough analysis of your needs, style preferences, and budget to help give the best options, custom designed especially for you. Let us help take care of your investment. Call our friendly staff today for a free quote. Safety comes first in all of our projects. We are 100% insured. NDL manufacturer warranties are provided with specific types of roofs. Title 24 cool roof systems if requested by zone. Quick response for emergency roof leaks, with knowledge of all types of roofs. Competitive maintenance programs are available. Our friendly office staff will be happy to assist you by directing you to the right field rep, who will be helping you to choose and design your roofing package. We also realize that having a helpful and knowledgeable person to help on the other side of the line can make things a lot easier, and a lot less stressful. Our field reps are experts in the roofing industry, who will guide you to the best products that will best fit your needs. All of our installers are trained in house and have routine inspections to ensure the work is done efficiently, properly, and safely. 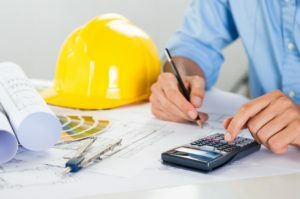 They will answer any questions and concerns during the project. Call us at (909)217-7373 or email us today to see what Genesis Pro Roofing can do for you. We look forward to serving you.